Join us as the beloved star of Gilmore Girls and Parenthood, Lauren Graham, discusses her first work of nonfiction, Talking As Fast As I Can. 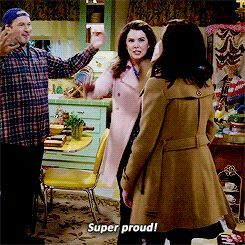 In addition to recounting her experiences on Gilmore Girls, the first and second time, she’ll share stories about her life: the awkward growing up years, the confusing dating years, the fulfilling working years and what led to playing Lorelai Gilmore again in the new Netflix revival. Talking As Fast As I Can is written in the hilarious and down-to earth voice that made Graham’s first novel, Someday Someday Maybe, a New York Times bestseller. Each individual ticket comes with a pre-signed copy of Talking As Fast As I Can. sixth&i - Wednesday, Dec 7, 7:30pm, Washington, D.C. 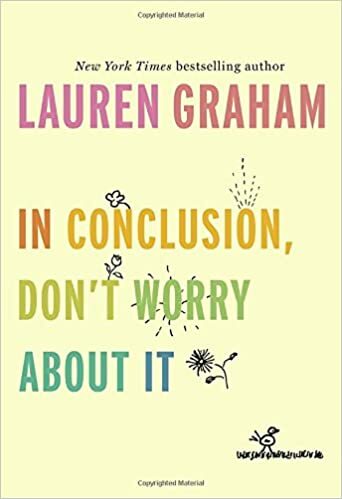 The Nation’s Capital will exude the charm of Stars Hollow when Graham, the star of Gilmore Girls and Parenthood, stops by to share her first work of nonfiction, Talking As Fast As I Can. This program does not include a book signing. All books will be pre-signed by the author. Congrats to Lauren! Well done! Great new interview and lots of book tips!! Ooh, thanks for sharing the interview! Congrats to Lauren and great interview. I guess it is time for me to finally read the added chapter in the paper back of TAFAIC. I just pre-ordered In Conclusion.